Welcome to the Van's Back to School Waffle Day Giveaway! In celebration of National Waffle Day, Van’s Foods is sharing some easy and delicious breakfast recipes to make busy school mornings happier for the whole family. Quick and wholesome options like Van’s waffles offer protein and whole grains moms can feel great about serving and are so delicious kids love eating them. Van’s is also offering a chance to win FREE Van’s waffles, a deluxe brushed stainless convection/toaster oven and $100 gift card. There’s a Van’s waffle for every member of the family celebrating National Waffle Day – from kid-favorite Van’s Minis (with 27 grams of whole grain per serving) to Van’s Gluten-Free Waffles (free of gluten, dairy and egg) to Van’s 8 Whole Grains Waffles (with 7 grams of fiber). To enter to win some delicious Van’s waffles along with a deluxe convection toaster oven and $100 gift card and a few other goodies, fill out the entry form below! Giveaway open to US residents only. Ends on 9/10/16 at 11:59pm EST. You can find the complete list of Sweepstake Rules here. Disclosure: All opinions are 100% mine. This giveaway is in no way associated with, sponsored, administered, or endorsed by Facebook, Twitter, Google, Pinterest or any other social media network.All opinions and experiences are Conservamom‘s. 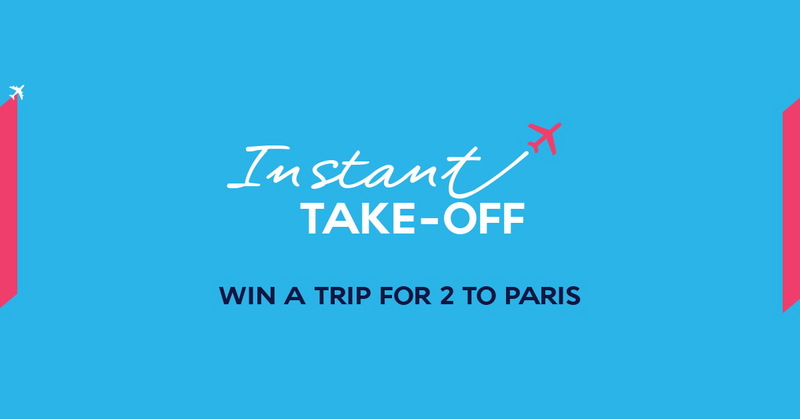 Open to Continental US residents only , must be 18+. Confirmed Winner(s) will be contacted through email and have 48 hours to respond before a new winner will be drawn. No purchase necessary. Void where prohibited by law. The sponsor will be responsible for product fulfillment to winner(s) of the giveaway. The disclosure is done in accordance with the Federal Trade Commission 10 CFR, Part 255 Guides Concerning the use of Endorsements and Testimonials in Advertising. Cultures collide and legend is brought to life on Saturday, October 15, 2016 in Mulan the Musical. 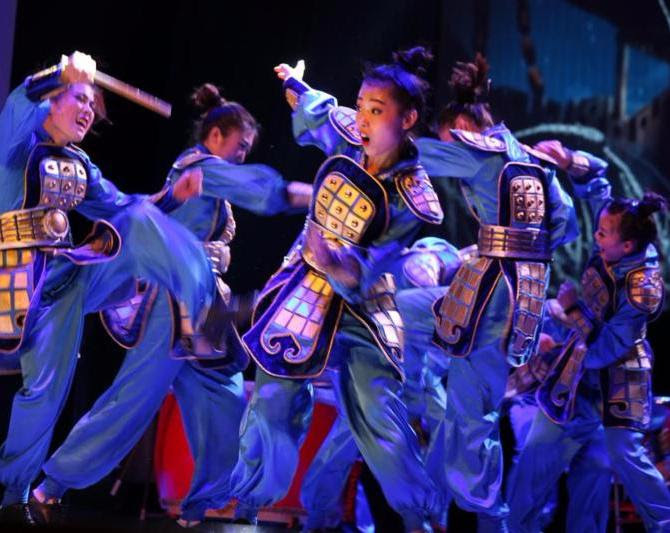 Showcased for one day only in an exclusive matinee and evening performance at Vancouver's Queen Elizabeth Theatre, the iconic, ancient tale dates back over 1,600 years and tells the story of brave Mulan through a spectacular combination of Chinese drum music, traditional kung fu and dance. 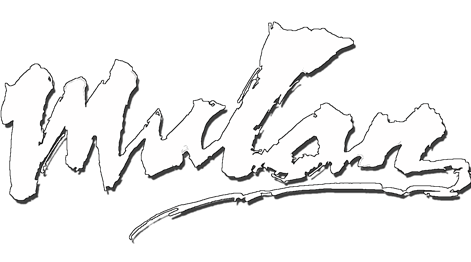 Mulan is an exploration of adventure and victory that follows one girl's determination to save her family. 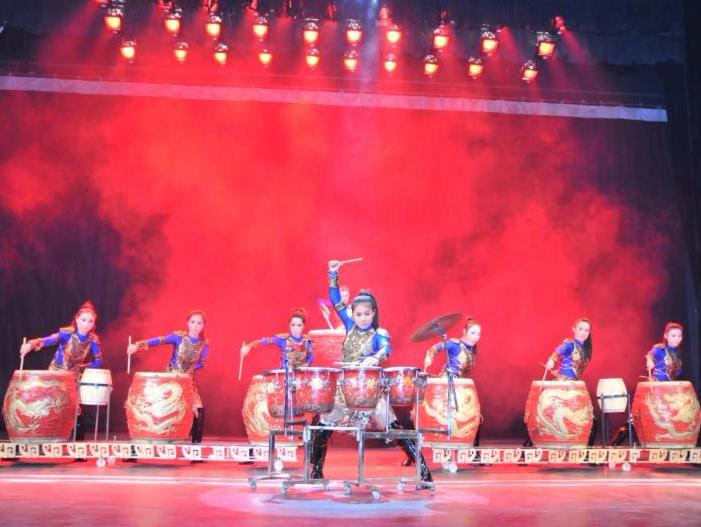 Expressing themes of loyalty and devotion through a captivating combination of dance, martial arts and music, Mulan the Musical tells the story of a young girl who takes the place of her ill father to fight in the army but must disguise her identity and serve as a man. Set in a time where a male from every family was conscripted to join the Chinese army, Mulan follows the courageous adventures of the main character as she sets out to prove her allegiance to both her family and China. Following a run on Broadway of 100 shows in 2014, Mulan the Musical comes to Vancouver on Saturday, October 15, 2016 with two exclusive showings - 2pm matinee and 8pm evening performance - at the Queen Elizabeth Theatre (650 Hamilton Street). Tickets are available for purchase online, priced at $30 for general seating; $40 for Mezzanine level and Orchestra right & left; and $50 for Orchestra centre, right & left centre seats. Children under 12 are eligible for a 25% discount. Tickets are non-refundable and not inclusive of tax or fees. Portrait Records announces the release of Wishes & Dreams, a 3-song EP is now available from Lexi Walker, the 14-year-old YouTube singing sensation. A follow-up to her 2015 holiday album, Merry Christmas, the new EP features a fresh, brilliant take on two Disney classics, “A Dream is a Wish Your Heart Makes” from Cinderella and “When You Wish Upon a Star” from Pinocchio. Also featured on the album, coinciding with the 2016 Olympics, Lexi re-energizes “The Power of the Dream,” Celine Dion’s legendary opening ceremony number from the 1996 Games, with her trademark youthful power and sparkle. At two-years-old, Lexi Walker, the dynamic young songbird sang in front of her first crowd. A decade later, the angelic-voiced redhead from Salt Lake City, Utah signed to Portrait Records. Lexi starred in a viral video of “Let It Go” from Disney’s Frozen with Alex Boyé and the One Voice Children's Choir, which has garnered nearly 80 million views! She has appeared on America’s Got Talent, Good Morning America, Disney’s Frozen Christmas Celebration and The Queen Latifah Show; and sung with The Piano Guys, Kristin Chenoweth, Lindsey Stirling, David Archuleta, Jenny Oaks Baker, the Lyceum Philharmonic, and the Fairfax Symphony. To date, Lexi has performed in Las Vegas, Walt Disney World, Carnegie Hall, Radio City Music Hall, and The Kennedy Center at Christmas-time for the Troops, as well as singing the National Anthem at stadiums throughout the U.S. Overseas, Lexi has done a tour of Japan and performed in China at the Beijing International Film Festival. For more information visit http://lexiwalker.net. Sony Music Masterworks comprises Masterworks, Sony Classical, OKeh, Portrait, Masterworks Broadway and Flying Buddha imprints. For email updates and information please visit www.sonymusicmasterworks.com. Another busy weekend it was. It was really nice weather; hot and sunny day. 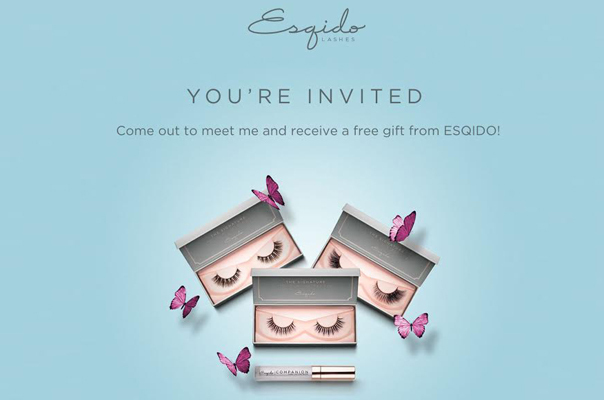 I had the opportunity to attend Esqido Lashes Launch event on Saturday, August 20th at Holt Renfrew at the CF Pacific Centre in downtown Vancouver. 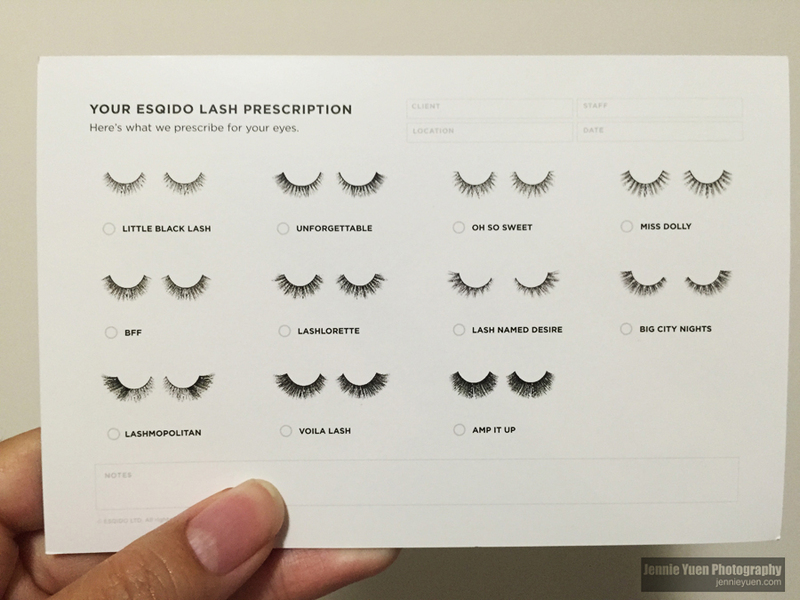 I found Esqido Lashes location near the cosmetics and fragrances at the lower level. There was a DJ playing some tunes. 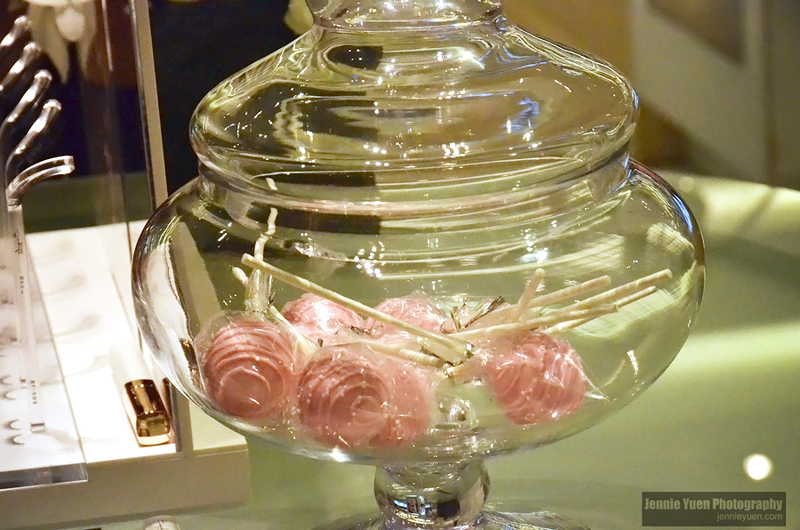 It was lovely as I was greeted by staff and they offered me a cake pop. Yum! When I got there, I also met up with Brenda, who is the co-founder. She was very helpful with the style of lashes that were suitable for me. The style I like were "BFF", "Unforgettable" and "Lashmopolitan". At first, I couldn't decide but I finally chose to take home the "Lashmopolitan" (something a bit more bold). 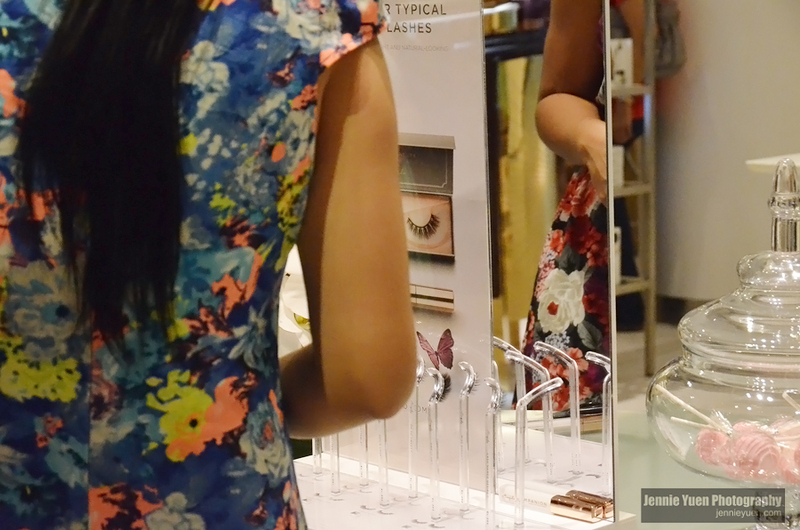 You can find your perfect pair with the innovative Lash Monocles. How convenient is that? I wear false lashes on special occasions and I like trying different styles. 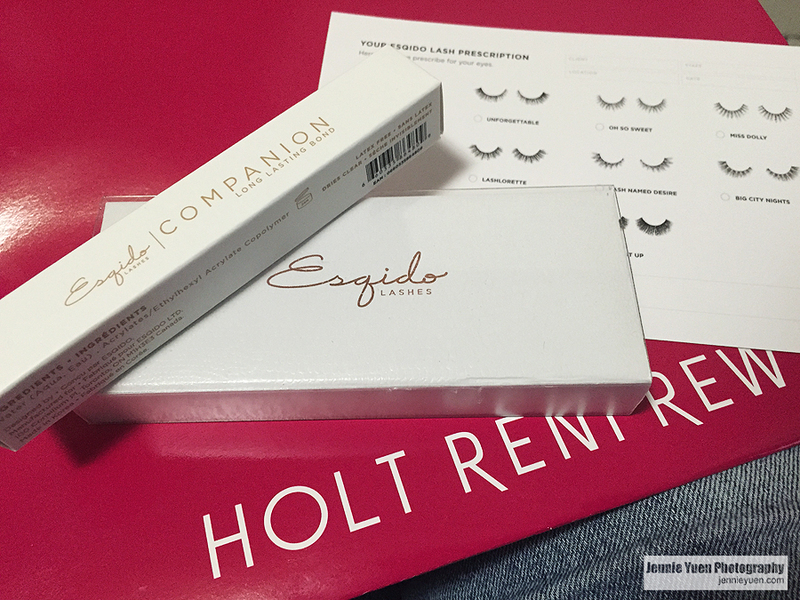 This is the first time I've heard of Esqido Lashes and I really love the natural look and the softness. 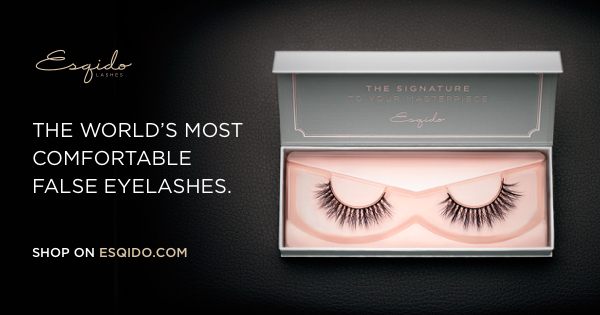 Of all the falsies I've tried in the past, Esqido lashes are super comfortable. Yes, these lashes are quite pricey, but it has the best quality (and also reusable) and it's a brand name. What a wonderful and a fun experience! 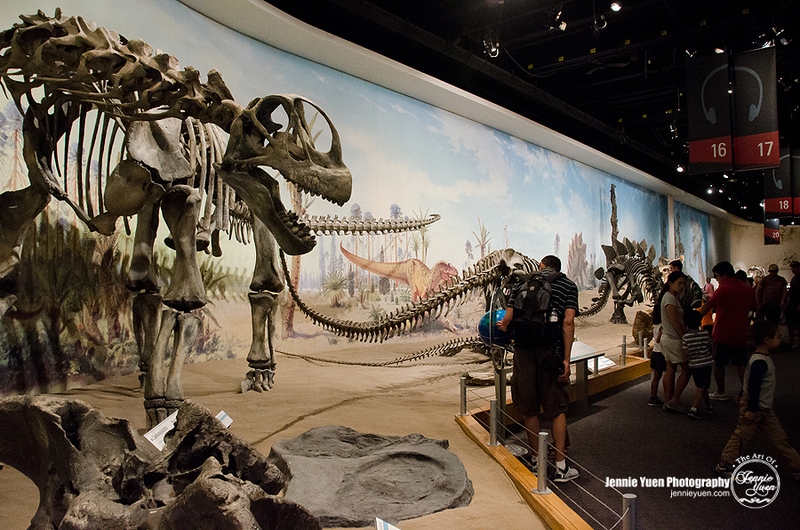 On our last summer vacation, our family went on a road trip from Vancouver, BC to Drumheller, Alberta. 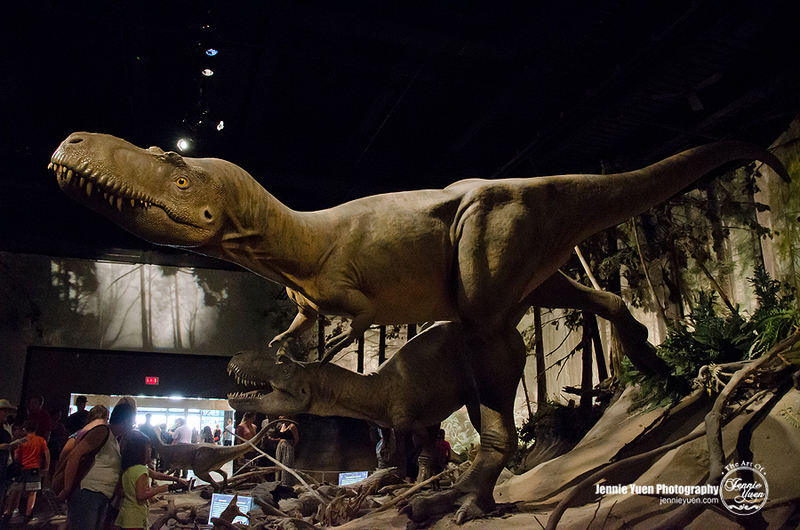 It was an amazing trip and eventually, we had the opportunity to visit the Royal Tyrrell Dinosaur Museum. 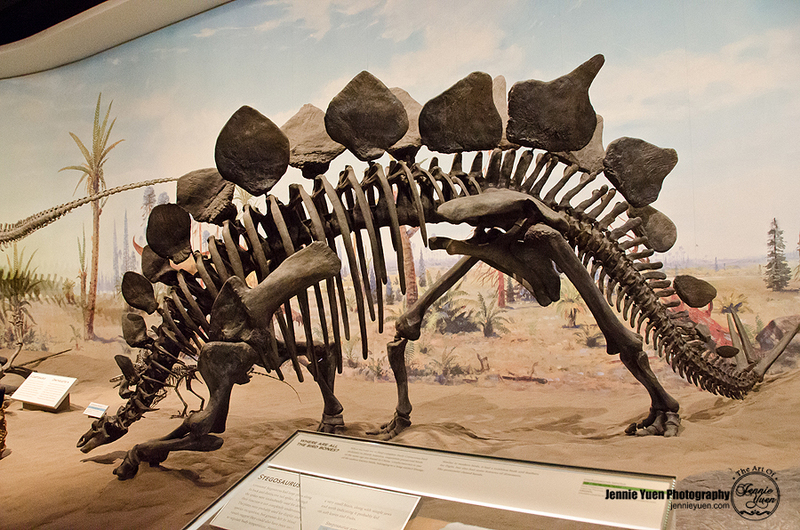 It was fascinating to see all the findings, fossils, and other things during the time when dinosaurs lived back millions of years ago. 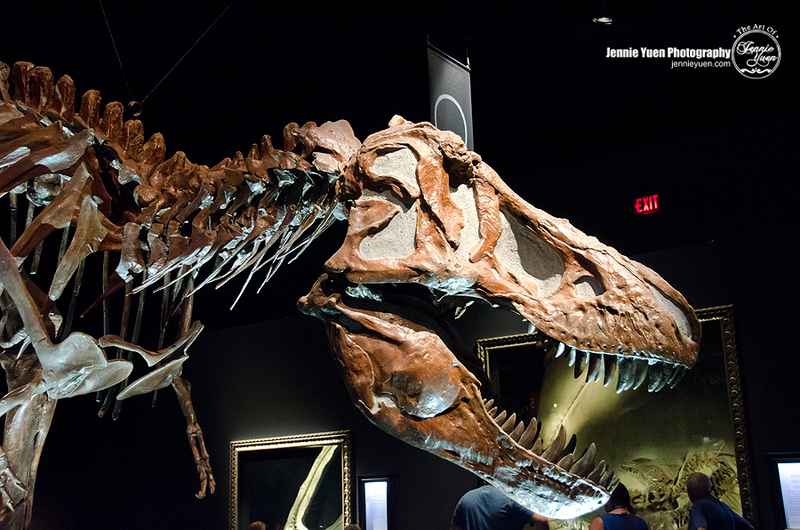 The Royal Tyrrell Museum is Canada’s only museum dedicated exclusively to the science of palaeontology. 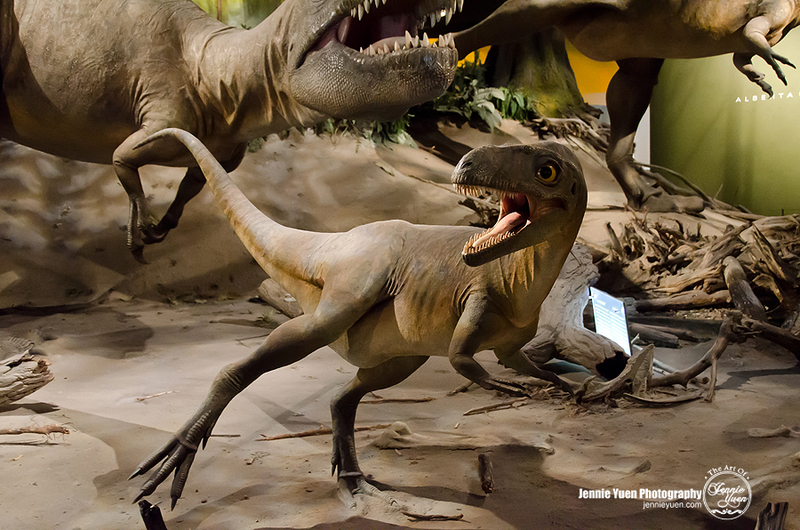 In addition to housing one of the world’s largest displays of dinosaurs, the Museum offers a wide variety of creative, fun, and educational programs that bring the prehistoric past to life. Here, I am sharing some of the photos during my visit. Follow my Facebook Page for the Full Gallery. Fan of tech gadgets or know someone who is? Thought you might like to know about some new gadgets that work on almost any Holiday Gift Guide for 2016. 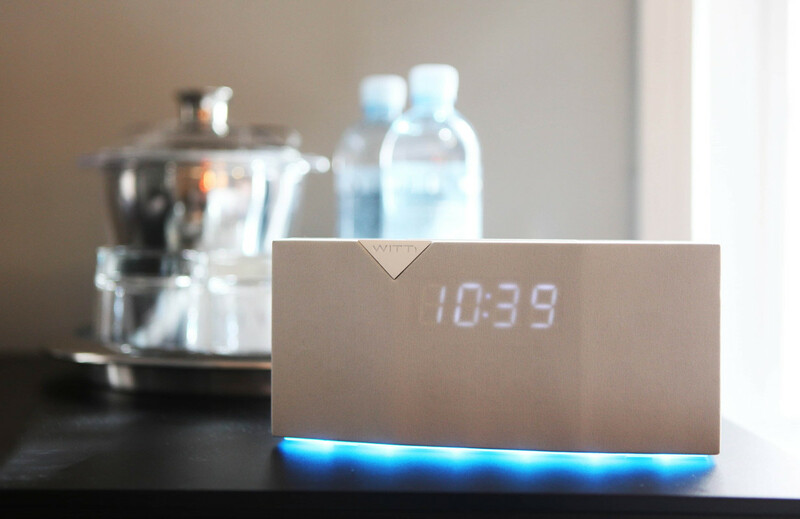 Product Description: The BEDDI is an intelligent alarm clock that makes life much easier for consumers in many different ways. Some of its features include a wake up light, multiple USB charging ports, a high quality Bluetooth speaker, and multi-colored mood lighting. Consumers can also be woken up by their very own playlists on Spotify, get the most recent weather forecast, receive the latest traffic reports, and can request an Uber ride with one touch of a button. It is completely controlled and settings can be customized by the free mobile app that is available to both IOS and Android devices. 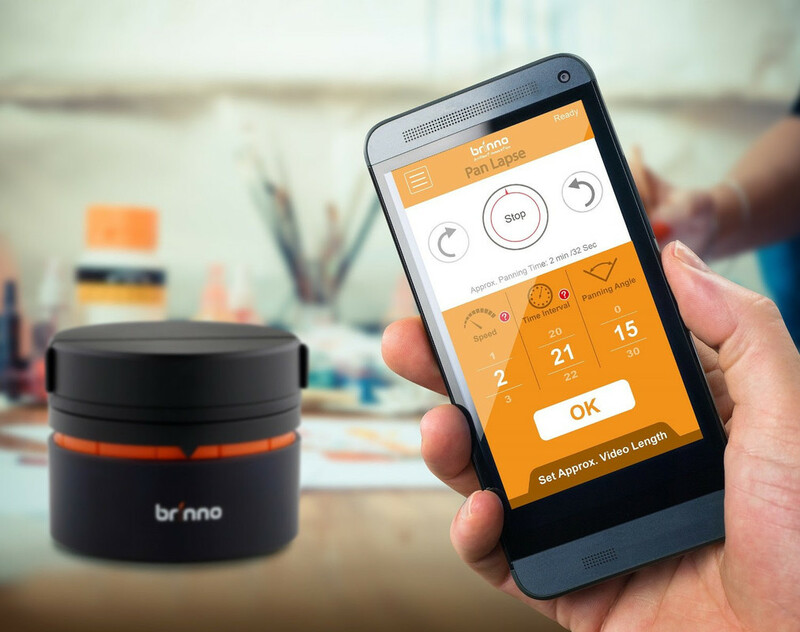 Product Name Description: Taking smooth sweeping videos or capturing amazing panning time lapse images has never been easier with Brinno’s new ART200 Pan Lapse programmable rotating camera base. 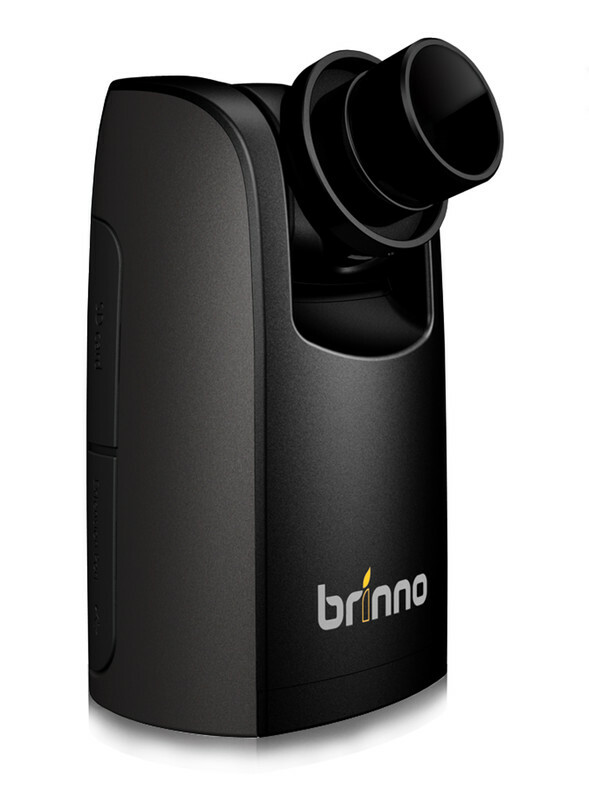 Compatible with Brinno’s time lapse cameras, video cameras, smartphones, and almost any compact camera, the Bluetooth enabled ART200 Brinno Pan Lapse can be secured to a tripod or any level surface to automatically rotate a camera 360 degrees to capture panoramic and immersive images and video. The ART200 is powered by 2 AAA batteries that can last 48 hours to 30 days, depending on the camera weight and the panning speed. A Bluetooth enabled app for tablets and smartphones syncs with the camera bas to program panning time intervals, rotating speed, as well as the sweep angle. Product Name Description: The PHV 1330 is a peephole viewer for your home that takes images of anyone or anything that is out front. Its ambient light sensor allows images to be taken up to 30 inches from the door. 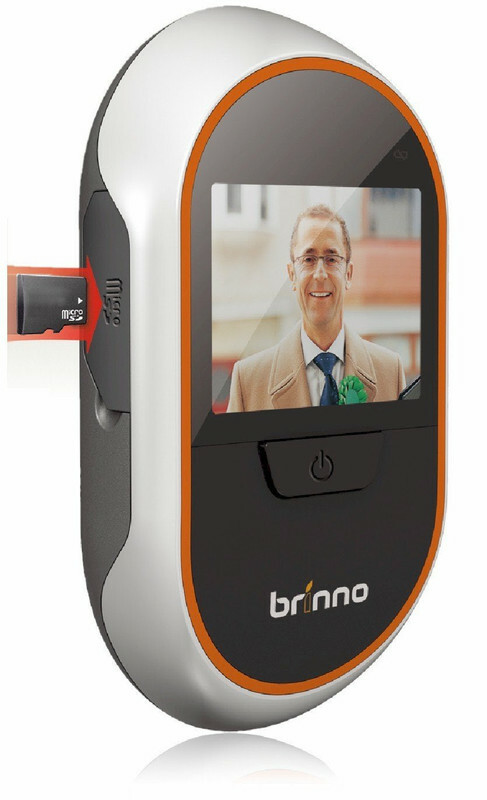 This battery-powered device features an LCD screen on the inside of the door to display the photos, which stores still shots as well as video on a Micro SD card and includes a time stamp for when the sensor is activated. The batteries inside last for 9,000 triggers, and can be powered for a little more than 6 months. The playback feature allows you to view a time-lapsed video with all images with one press of a button. The best feature of the PHV 1330 is that its peephole looks identical to a normal peephole, so outsiders don’t notice that they’re being recording. 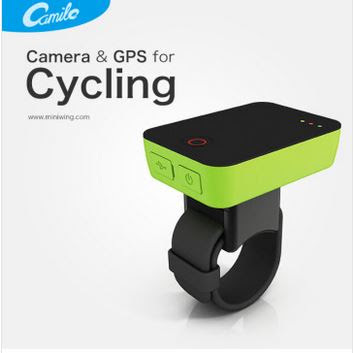 Product Description: The Camile Sport Cam can shoot both pictures and videos and can easily be mounted onto a bike. Consumers can point the lens outward or wherever they would like to film, and record in either of the two separate modes: video mode or burst shooting mode, which can be set in intervals between 3 and 60 seconds. Once turned on, an LED screen can display the speed of travel, local time, or the mileage of a trip. Three indicator lights also indicate battery life, video recording and if it is connected via wifi or Bluetooth to a Smartphone. Once the footage has been shot, an application is available to sync all of the footage via a wifi connection, and can be then downloaded to a computer with a USB cord. Product Name Description: The TLC200 Pro is portable and easy-to-use for almost any occasion and can be placed anywhere. It can be used inside or out, and even has a weather-proof case available for anytime shots. Time intervals for shots can be customized to shoot ASAP, all the way up to one shot every 24 hours. The battery life depends on different scene settings, but in certain settings, the four AA batteries can withstand up to seven days of continuous filming. Hi all! 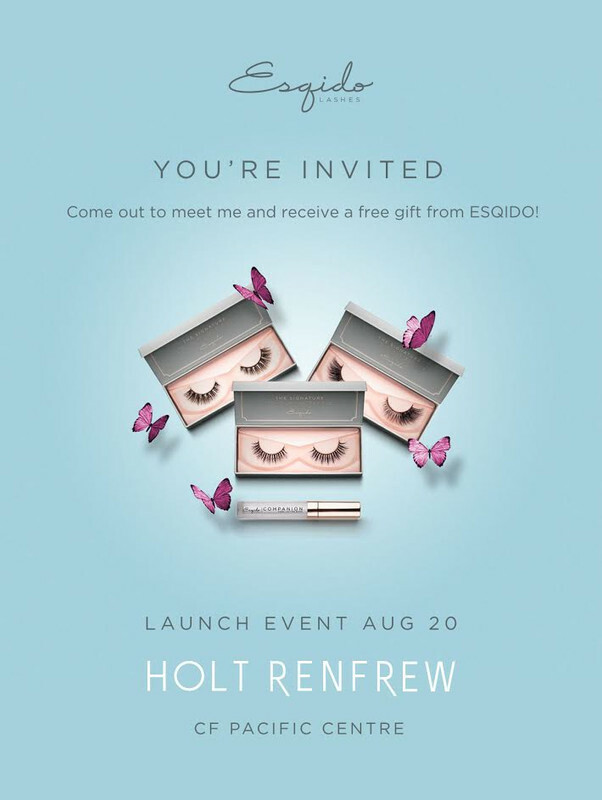 If you're in the Vancouver area, I would like to invite you to the Esqido Lashes launch event held at Holt Renfrew in the downtown area. Yes, Esqido is now available in Canada. 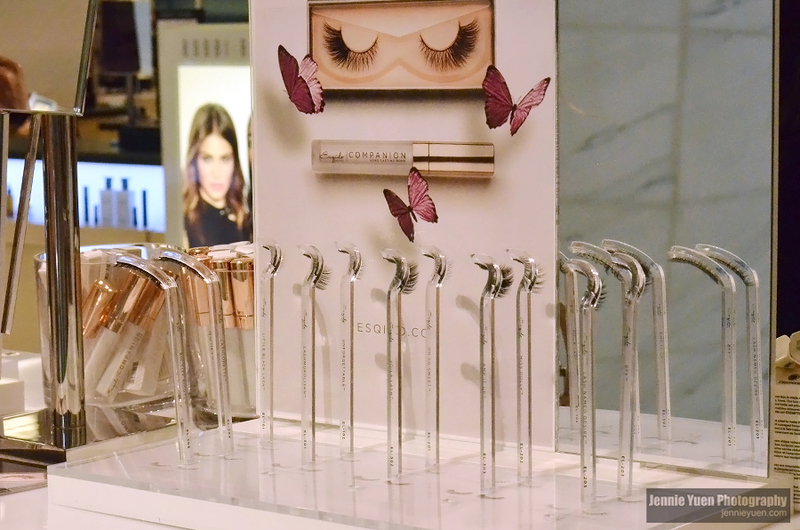 Are you a fan of false lashes? 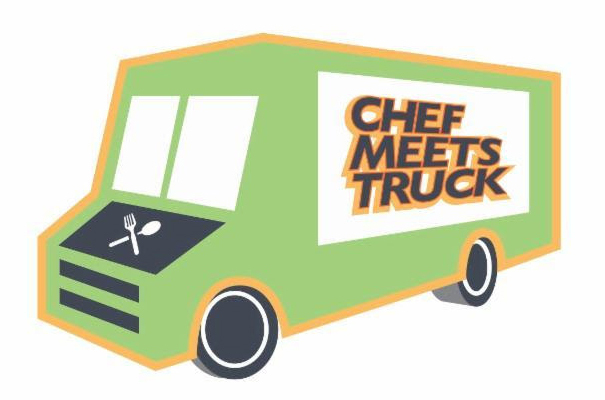 Come check out this fun experience. See the invitation below. Bring your invitation, mention me (Jennie Yuen) of "Jen's Blog of Random Thoughts" or "Jennie Yuen Photography" who invited you and you will receive a small gift! Horseshoe Canyon near Drumheller in Alberta, Canada. 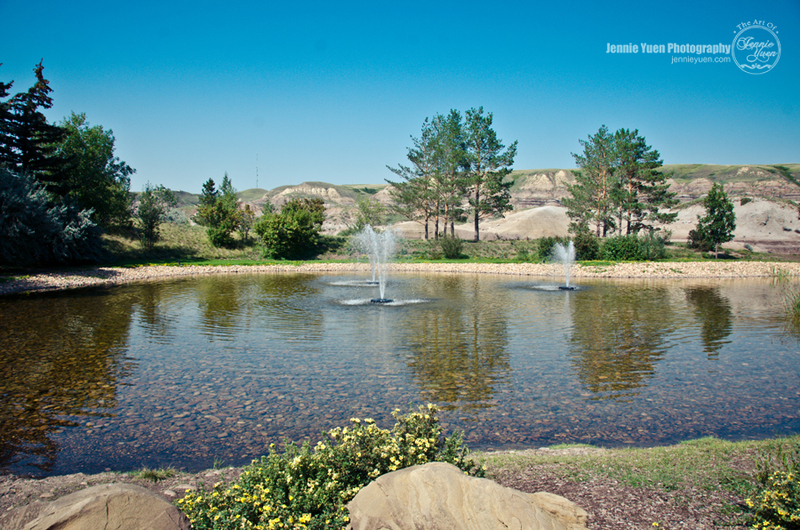 See more landscape photos in my Facebook Gallery. 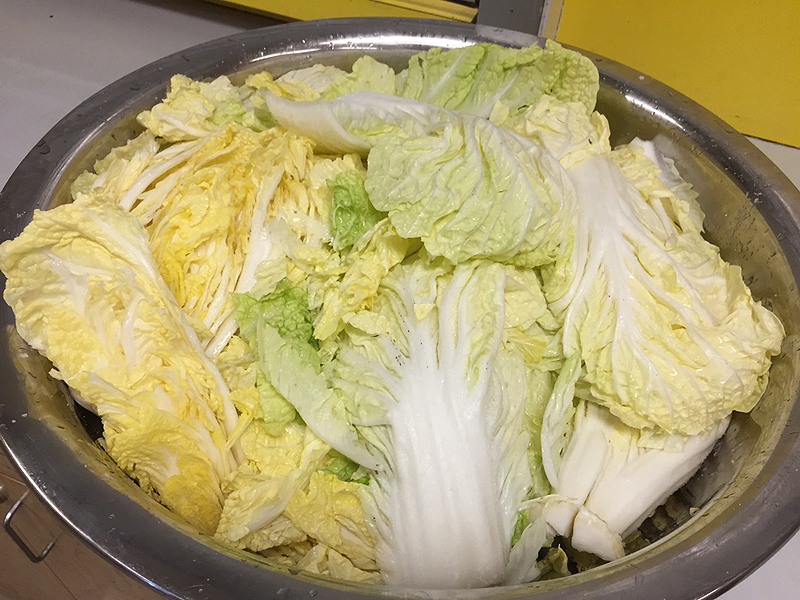 Kimchi is a popular traditional Korean side dish made of fermented napa cabbage and other vegetables. 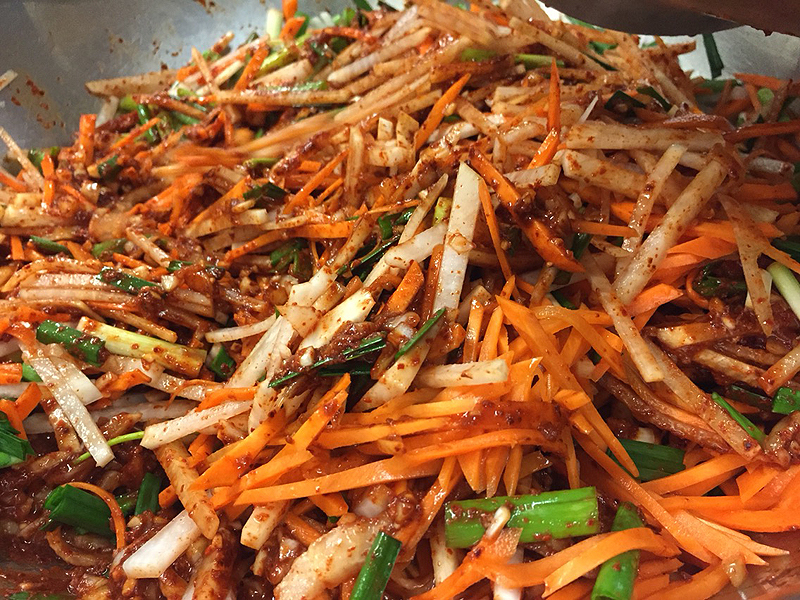 It's described as a spicy and pickled cabbage. It is the same process in making sauerkraut and dill pickles. 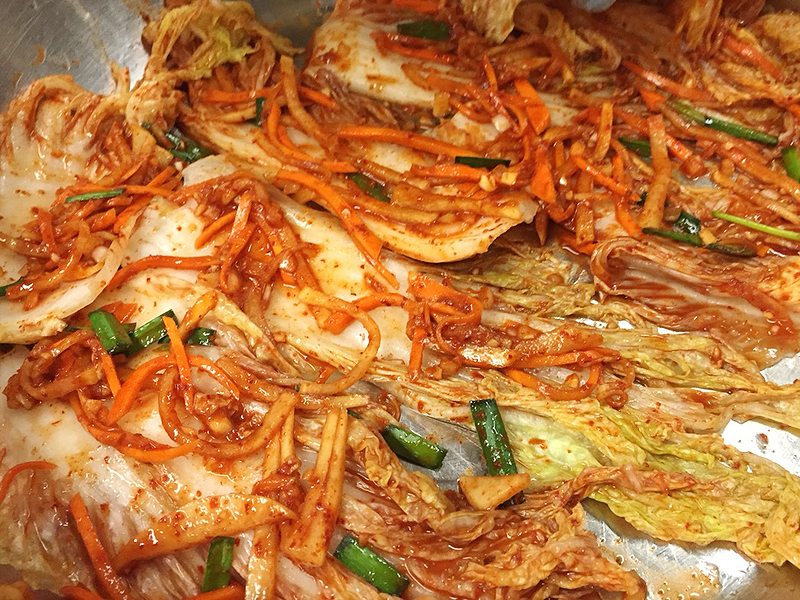 By making your own kimchi, you can save money because I think it costs quite a bit at the supermarkets. You can also control how much spice you want to put in. 1. 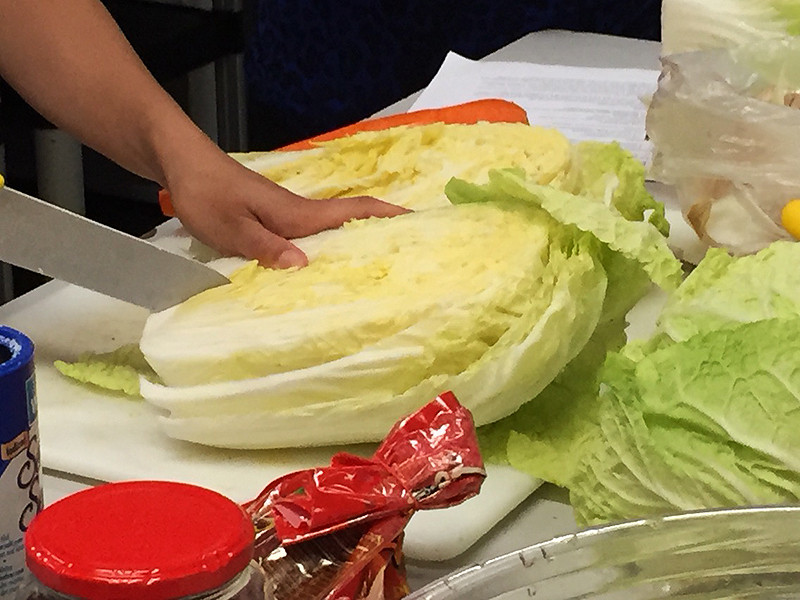 Cut the napa cabbages in half lengthwise and trim the ends (core). 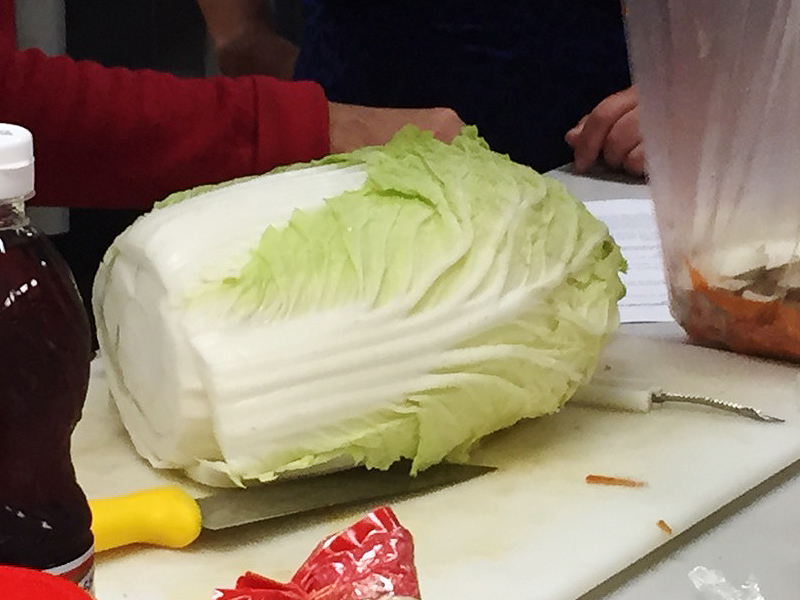 Cut a short slit in the base of the cabbage (about 2 inches above the stem) and gently pull the halves apart so the cabbage splits open. 2. Rub the salt into the leaves until all are evenly coated. Place in large bowl/basin. Leave at room temperature and let sit for about 2 hours. 3. 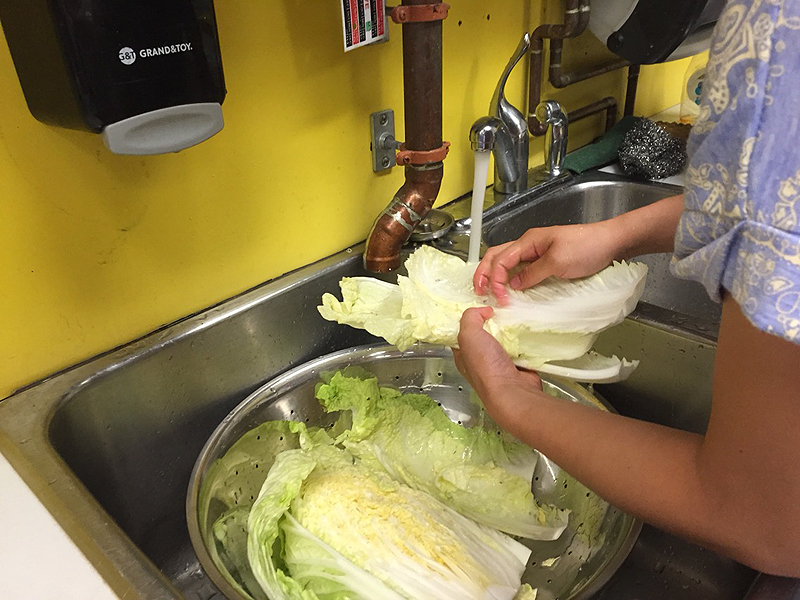 Rinse the salt from the cabbage leaves under cold running water. Drain and squeeze out any excess liquid. 4. 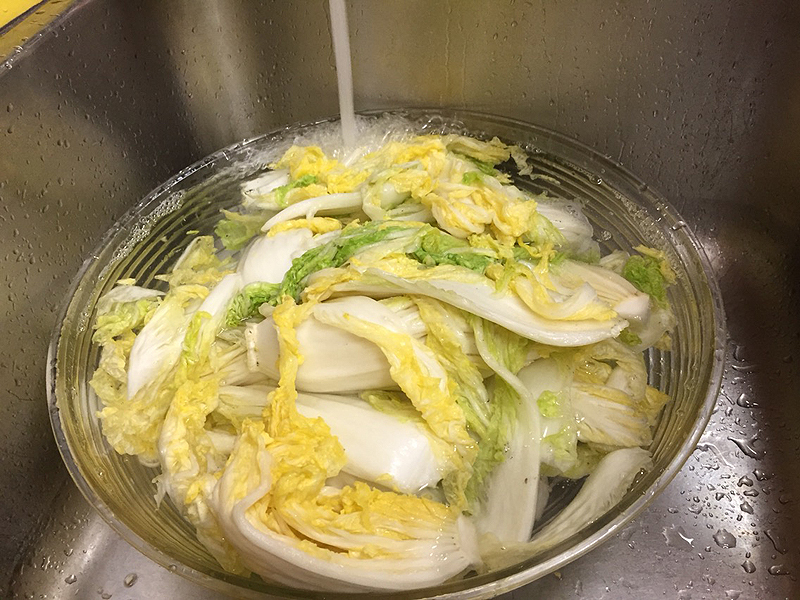 Cut cabbage into pieces about 2 inch square. 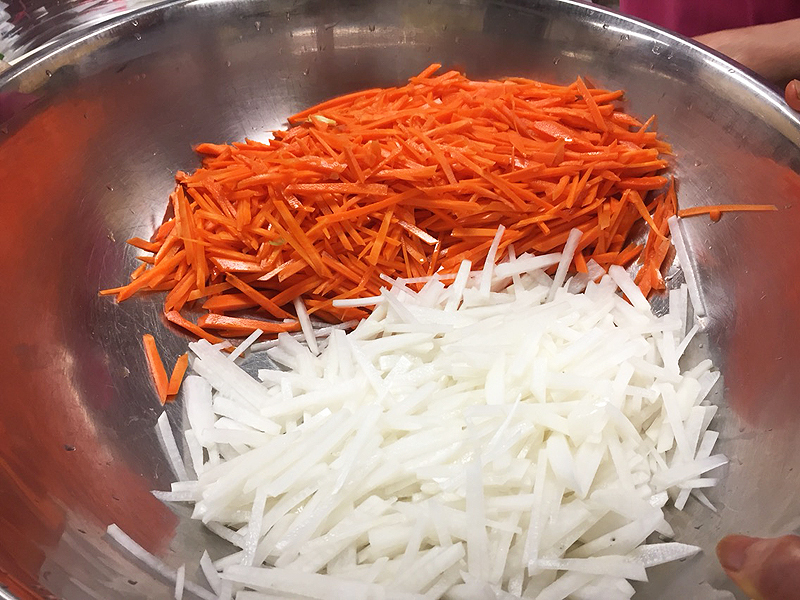 Combine daikon radish, carrots, green onions and chives. Set aside. 1. 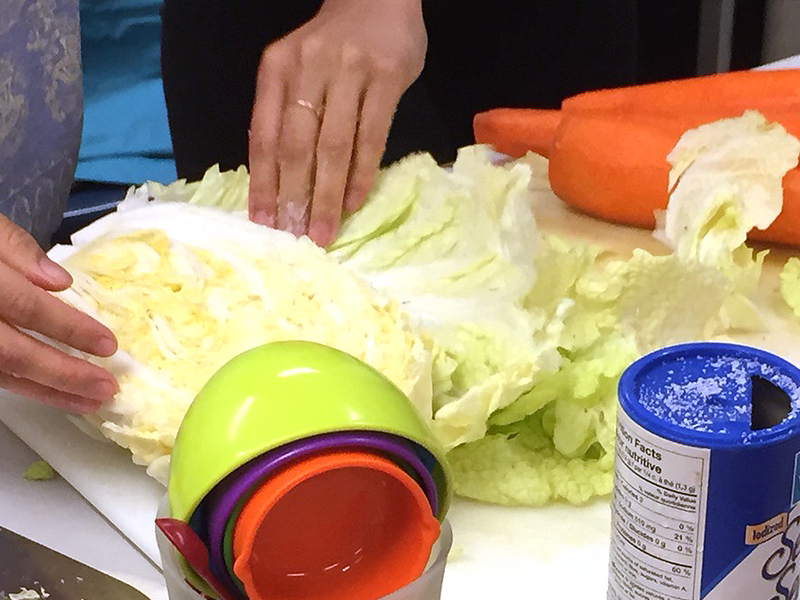 While the cabbage is salting for 2 hours, you can make the paste. 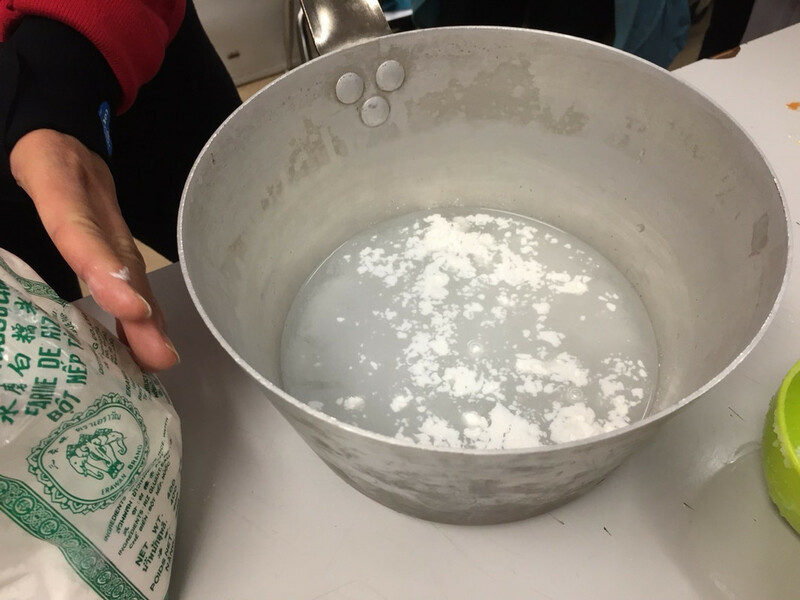 Combine the water and glutinous rice flour in a small pot. 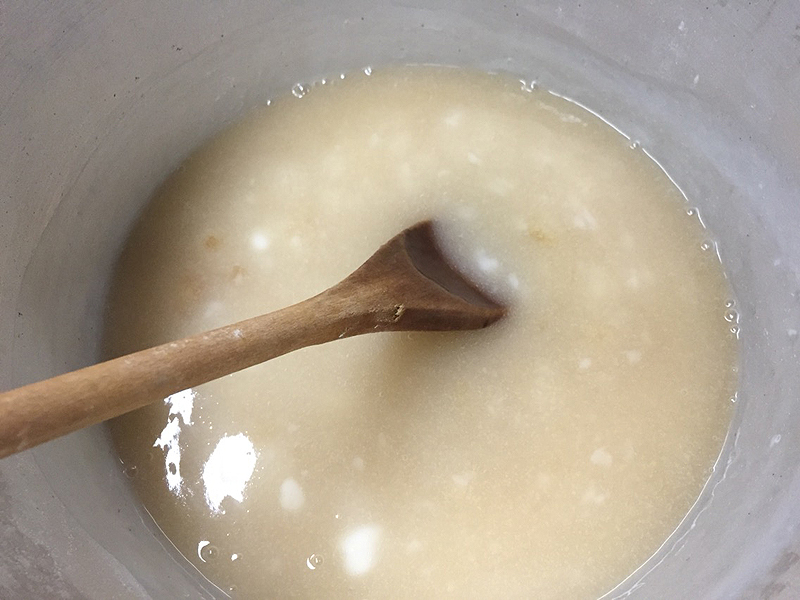 Mix well with wooden spoon and let it cook over medium heat, stirring constantly until slightly thickens. Add the sugar and cook for about 1 minute, stirring constantly. Remove from heat and let cool completely. 2. 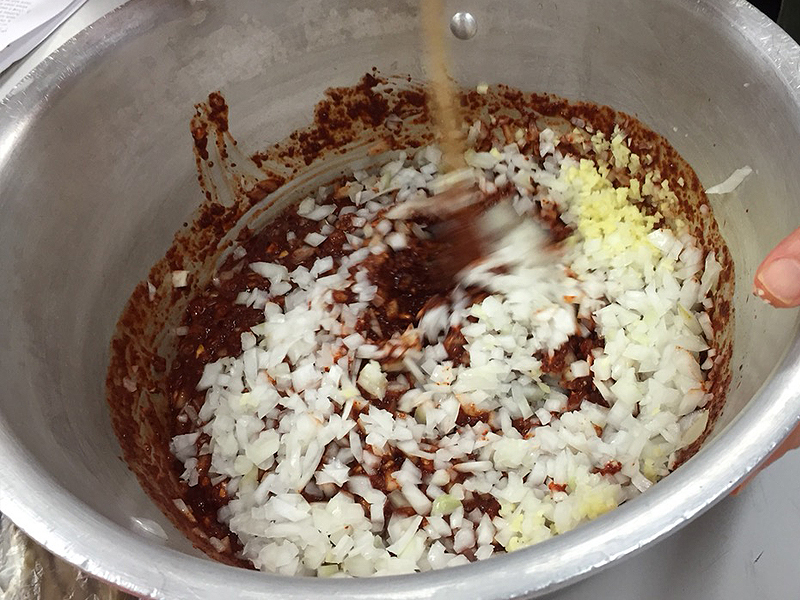 After cooled down, add garlic, ginger, white onion, fish sauce and chili pepper flakes into the sauce. 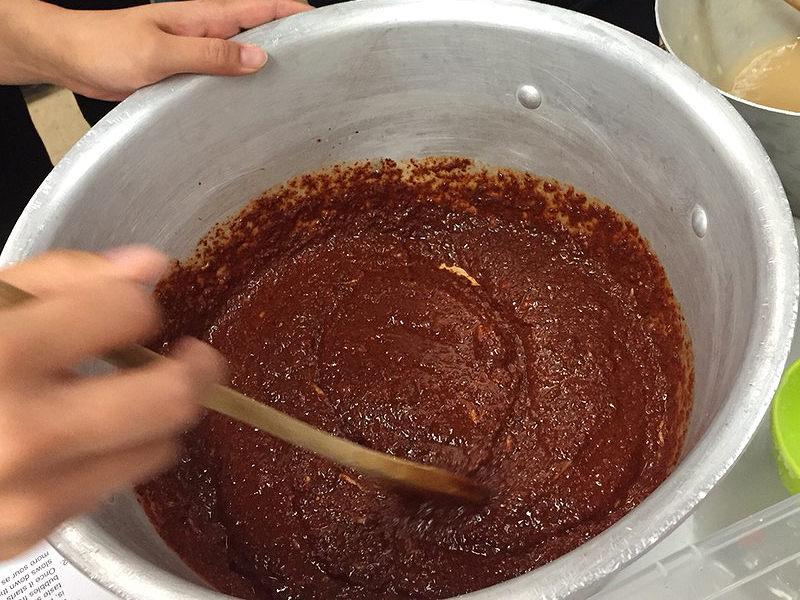 Mix well until the mixture turns into a paste. 3. Combine all the vegetables. 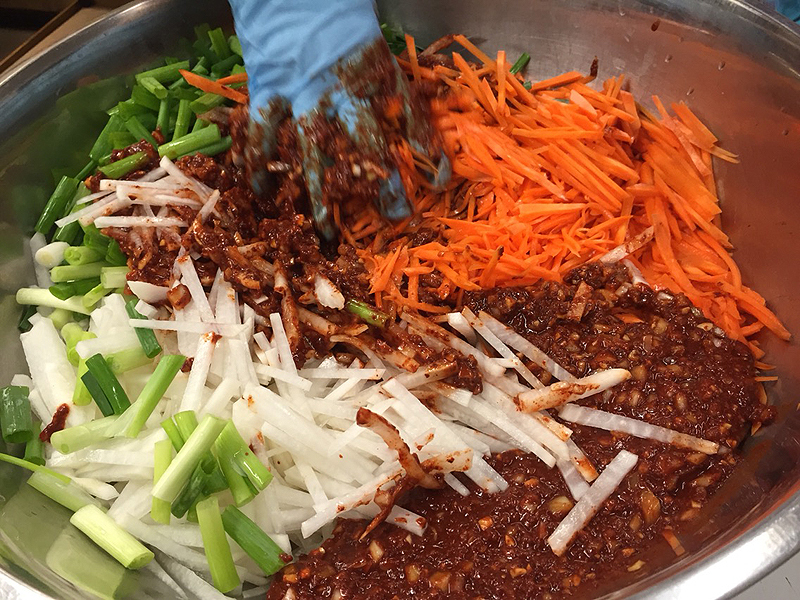 Pour the kimchi paste into the vegetable mixture and mix well. Add a bit of salt according to your taste. You can wear plastic gloves to protect your hands. Mix until everything is evenly coated. You can eat right away or let sit for a few days to ferment. 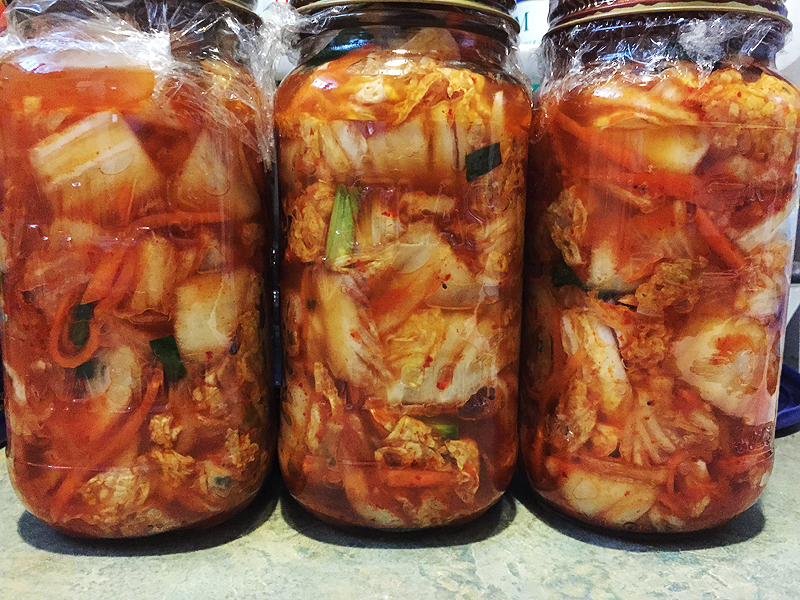 The kimchi will start fermenting after a couple days at room temperature. Fermenting gives it a sour taste so no vinegar is needed. Store in refrigerator for up to 1 month.